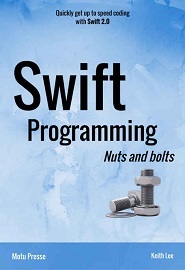 Описание: Swift Programming Nuts and Bolts provides a clear and concise overview of the programming language, describes its key features and APIs, and presents recommendations for developing programs using Swift. It is written for readers who want to quickly get started coding with Swift and covers Swift 2.0, the latest release of the language. Swift is a new, modern programming language for developing applications for the iOS, OS X, and Apple Watch platforms. As you are probably well aware, these platforms are some of the most popular application development environments. In fact well over one million iOS apps have been developed and distributed to the Apple App Store. General users and IT professionals alike want to be able to quickly grasp the fundamentals of this technology and begin using it to build apps. This book was written to help you acquire this knowledge by answering the following questions: 1) What are the general features and purpose of Swift, 2) Why you should use it (versus other programming languages), and 3) How do you quickly begin developing apps with Swift? Swift Programming Nuts and Bolts provides these answers. This book is for developers of all levels of expertise who have, at a minimum, knowledge of basic programming concepts. In addition knowledge of functional and/or object-oriented programming concepts, while not necessary, is also useful. 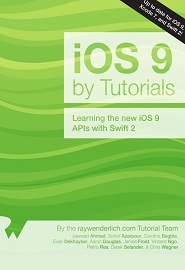 It’s also great for experienced Objective-C developers who want to quickly get up to speed on Swift. 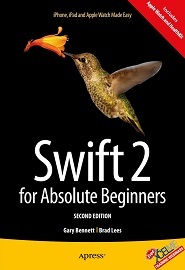 Swift Programming Nuts and Bolts covers Swift 2.0, the latest release of the language. It begins with an overview of Swift and its development tools. The main body of the book consists of a general introduction to the programming language; it includes a detailed exploration of its key features along with plenty of examples that will enable you to quickly get started writing programs with Swift. The final two chapters conclude this book with a summary of everything covered herein, along with references and recommendations that will be useful as you develop great apps using Swift.